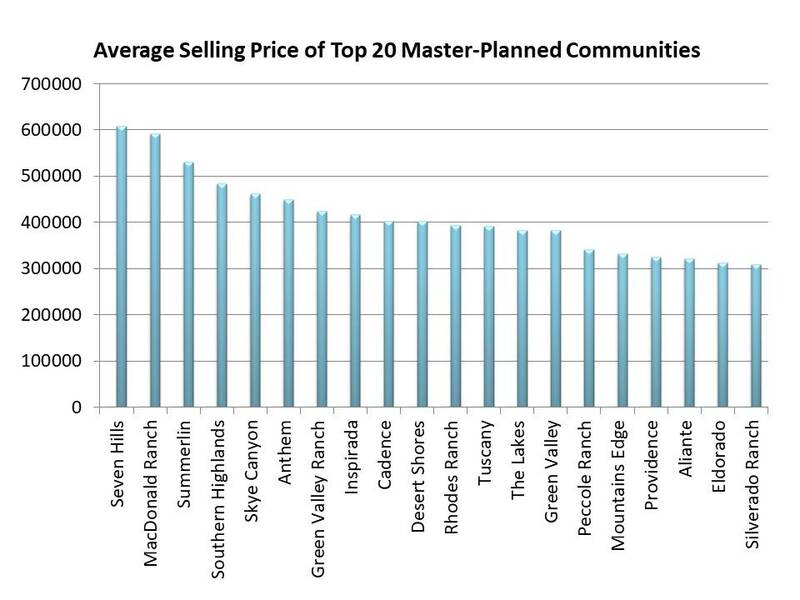 What are the Top Selling Master-Planned Communities in Las Vegas? Master-planned communities in Las Vegas are among the most popular lifestyle choices for home buyers. Laden with amenities, located close to schools, entertainment, shopping, medical facilities and highway access, they are a logical choice for a Las Vegas house. Here were the 20 most popular Las Vegas master-planned communities in 2018 based on number of sales. There are a good range of average selling prices, from the low $300,000s to just over $600,000 - so something for everyone. The average days on the market was 55 days or less, making them an attractive investment. These are the top selling communities in Las Vegas for 2018 including average selling price, days on the market and number of sales. Click on your desired property to view current listings, or browse all Las Vegas master-planned communities here.